From Queretaro we farewelled our last first class bus for a while. We have been travelling with Primera Plus and boy have they been cushy; more leg room and recline than an aeroplane, power sockets and lunch (just sandwich, cookies and drink but hey I won’t say no). 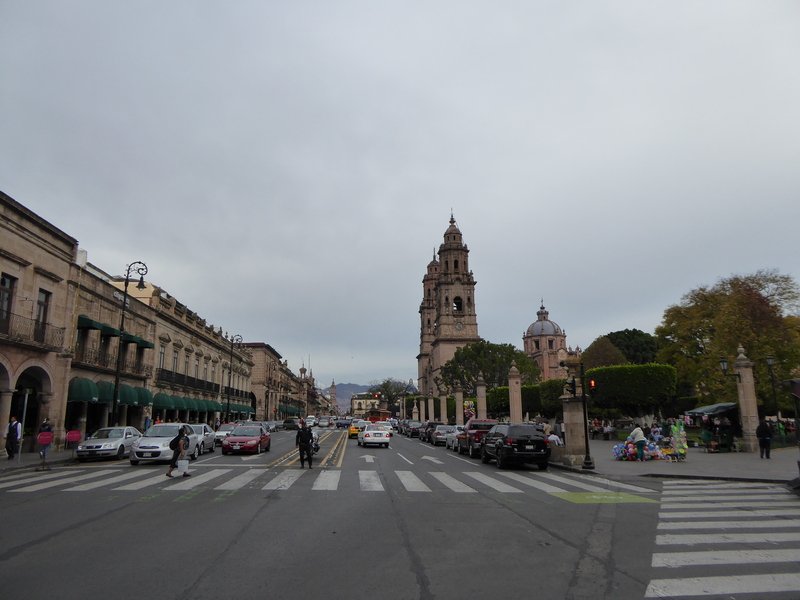 We were on our way to Morelia, another large-ish city in the state of Michoacán. I know what you are probably thinking: “but that state has travel advisory warnings!” which we were aware of, and promptly ignored in order to visit the places we wanted to see. You will notice that the next few places I blog about will also be in this state, but don’t worry we are fine and nothing untoward happened while there. If anything these areas have been quite quiet and relaxing for us to see, but there were definitely not many (if any) other tourists. We did take some precautions with our money and purposely ran low with the amount of Peso we were carrying, spreading it around our belongings a little more and using our locks more diligently. Time for a slightly bigger city! 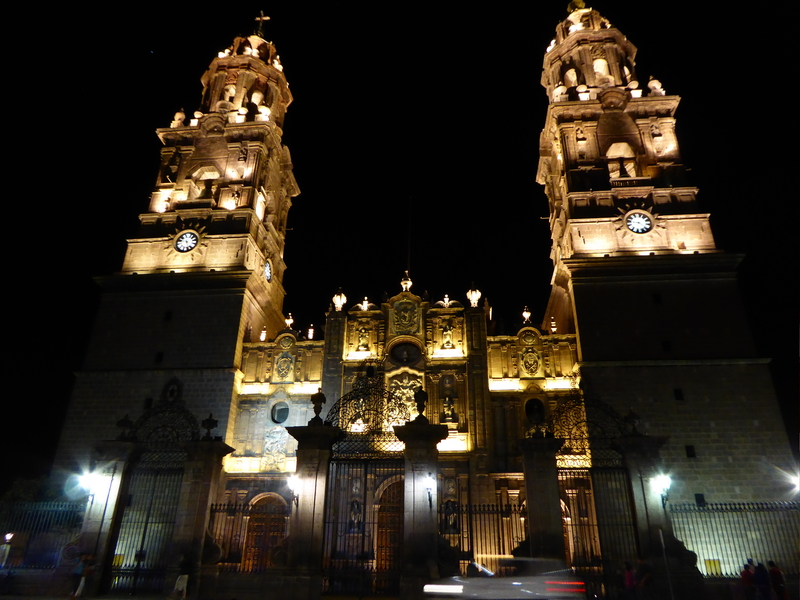 We journeyed the short distance from San Miguel de Allende to Queretaro by yet another bus. The trip itself only took a short time, even though it was our first experience via a second class bus, and a lot of that was travelling through the outskirts of Queretaro. Seeing a large city of almost two million was a little shocking, we hadn’t been somewhere this busy since our arrival in Guadalajara. But the same theory applied to our arrival in this city as every other; first goal (after groaning about our packs) was to locate the bus to centro. The easy thing about Mexico we have found is that all cities have a “centre”. Yes you are probably thinking well that applies to most cities around the world, maybe it’s the language barrier but it is so comforting to know that if we hail a bus and ask “Centro?” then we can return to somewhere near where we are staying without stress. After nearly six weeks in Guanajuato it was time to say a sad goodbye and head onto new places in search of new adventures. 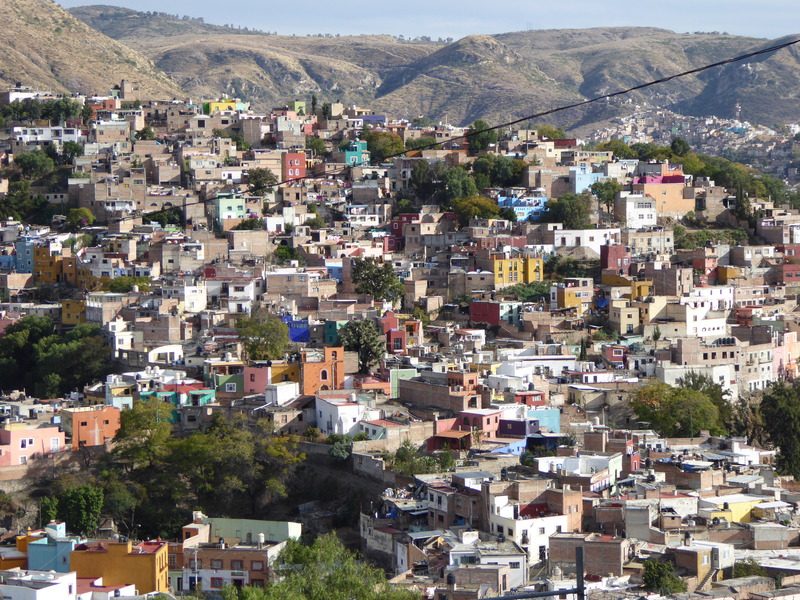 As amazing as Guanajuato had been to us it was beginning to become a little too comfortable and far to easy to stick around. 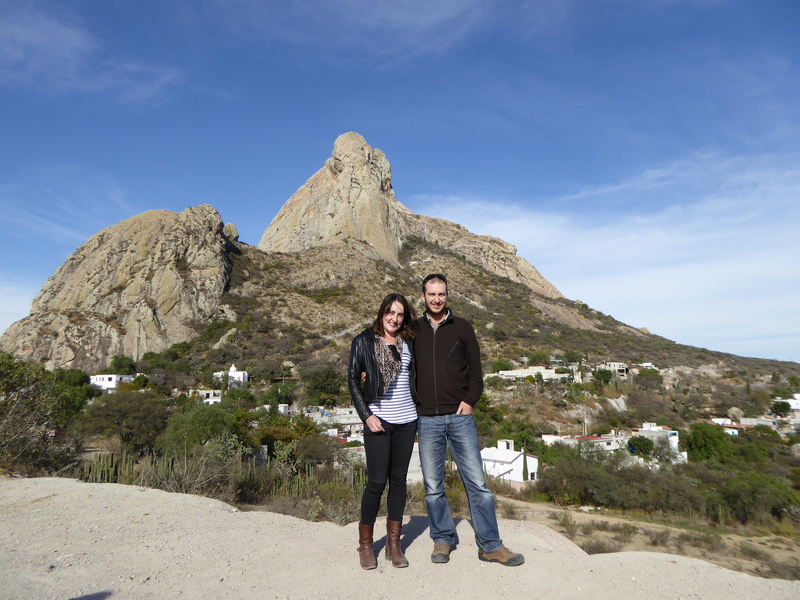 Our first stop after Guanajuato was only a short trip down to road to San Miguel de Allende (SMA). Although a new place and another beautiful colonial town SMA was not a huge ‘adventure’. The town itself has one of the higher percentages of American residents in all of Mexico, for us this meant a few things: lots of English spoken and tourism targeted at Americans meaning a higher prices. We had booked a hostel with no fuss which was a short walk to the centro with all the churches and plazas which always accompany town centres here. The Parroquia de San Miguel Arcangel is quite stunning, I regularly compared it to a Disney castle although it is a church. It is made of a pinkish stone and almost glows during the sunset. Hola, I can say that with a little more confidence now. From Puerto Vallarta we had a long trip back to Guadalajara bus station and onwards to Guanajuato, about eight hours in total with no travel sickness to be seen (I dozed most of it). We had booked four nights in an Air Bnb house and arrived in darkness. The taxi to meet our host seemed surreal with the street lights illuminating the crazy steep streets before plunging into multiple tunnels which thread their way underneath the city. We soon learnt that the city is built in a valley on an old silver mining area which once produced a third of all the worlds silver. An impressive history alone without adding that it is very important place for Mexican independence (apologies if I summarised the history badly, I’m not much of a historian). This post has sat sadly in our drafts folder for a while now so I thought I’d publish it first, it’s a little out of order as we were in Guanajuato for a few weeks before spending the day in Leon. Our post on the five (yes five!) 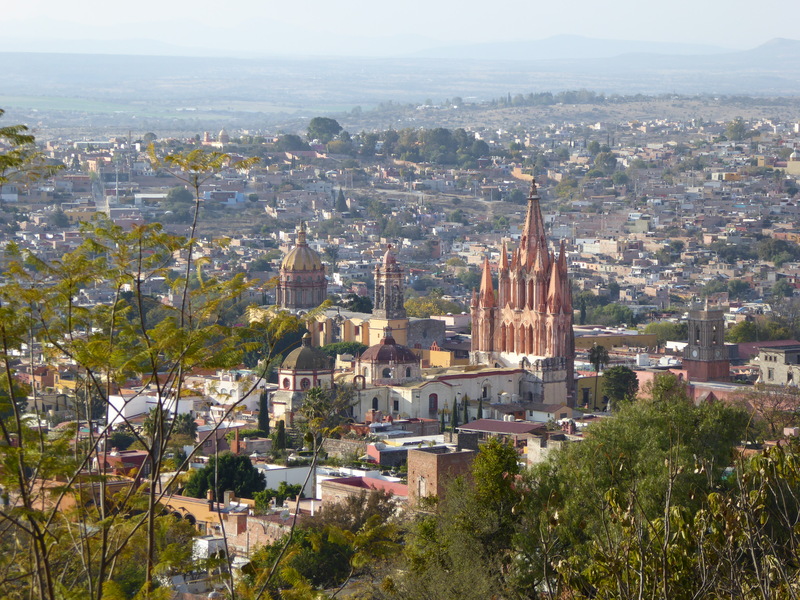 weeks we spent in Guanajuato will come soon, promise! Feliz año nuevo everyone! We have been quiet for the last month due to our stay in Guanajuato, we made the decision to stick around for a month and learn some Spanish. But I’ll post more on that soon… This is just a small post about our day trip to Leon, a larger city about 40 minutes from Guanajuato. We were lucky enough to have two of our new friends here offer us a ride as they were heading there as well. The interior of the Leon Basilica during a mass for the medical students. Long time no posts – Sorry! Well it’s been quite some time since we have posted any news of our adventures, we have been through many cities and towns but are still currently in Mexico. As today is the first really miserable weather day we have had so far we thought it would be perfect to update you all while trying to stay snug and warm. So we have a bit of work to do and hundreds of photos to look at and add to the posts as well. Thanks for your patience and stay tuned! A standing part of Monolithos. Quite impressive and people had scratched their initials and date onto the walls. There were some very old dates. Rock carvings in Red or Rose Valley, probably used to be the inside of dwellings eroded away. Or not? Delicious Birthday dinner at Dibek, we had a Meat, Chicken and Vege Clay Pots with various sides. Amazing food! The amphitheatre at Ancient Hieropolis above Pamukkale. The most iconic imagery of Cappadocia: The Fairy Chimneys. Strange looking aren’t they? The outside of Ortahisar Castle. Shows how the structure is being held together, and how freaky that staircase is! Derinkuyu Underground City, I think this room was a wine cellar? Ground view of the dodgy stairs off the edge of the Castle. Kritinia’s Castle has a pretty impressive façade. The spectacular view of Monolithos perched on the hill before climbing up to it. A must do if you visit Cappadocia! Down hill view of the Castle, entrance is a little further around the right hand side.